Dr. Hal Seed wants to help you grow a better, bigger church. 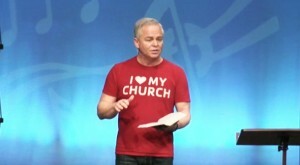 Hal is the church planter and lead pastor of New Song Community Church in Oceanside, California. He mentors pastors who want their churches to grow with effective systems so they can reach their communities for Christ. PastorMentor was born out of the conviction that every Bible-based church can be healthy and growing, and that most pastors lack someone who can coach them through their ministry challenges. Hal experienced that need for a mentor during the twenty years he spent planting and growing New Song. New Song’s growth stalled and bumped against barriers several times until Hal was helped by pastors and leaders who mentored and coached him through those critical junctures. Now he is helping pastors, church planters, and leaders by sharing resources, tools, wisdom, and counsel to grow through the barriers you face. 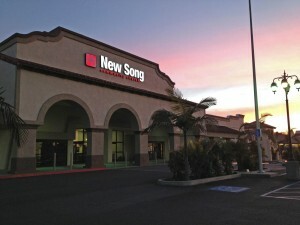 Hal, and his wife Lori, planted New Song Community Church in Oceanside, California in 1992. They left behind a ministry in Longmont, Colorado and moved to southern California with two kids, two cats, and two couples who were crazy enough to join them. Over the past twenty-three years, along with the over 19,000 people that we’ve seen come to Christ, New Song has planted four campuses so far, and has helped launch four parachurch ministries: Outreach, Dynamic Church Planting International, Church Community Builder, and Gospel Colors Outreach. Hal knows the ups and downs of church planting. He has walked through the challenges and the victories that every pastor knows, and along the way God has shown him his power and grace. The Church Campaigns that coordinate sermon series, small groups, and individual reading for maximum impact in your church. We hope the ideas and resources on Pastor Mentor and the information on Hal’s blog will help you build a healthy, vibrant church that honors Jesus Christ. Never miss a blog post, new tool, or special offer.